"The 2016 Cabernet Sauvignon Ellie's is a blend of fruit from several mountain appellations. Firm tannins and bright acids add energy to a core of red and purplish berry fruit. Lithe and medium in body relative to the other Hall wines, the Ellie's is more about persistence than opulence. Chalk, white pepper, iron and game overtones add nuance to this super-expressive Cabernet." 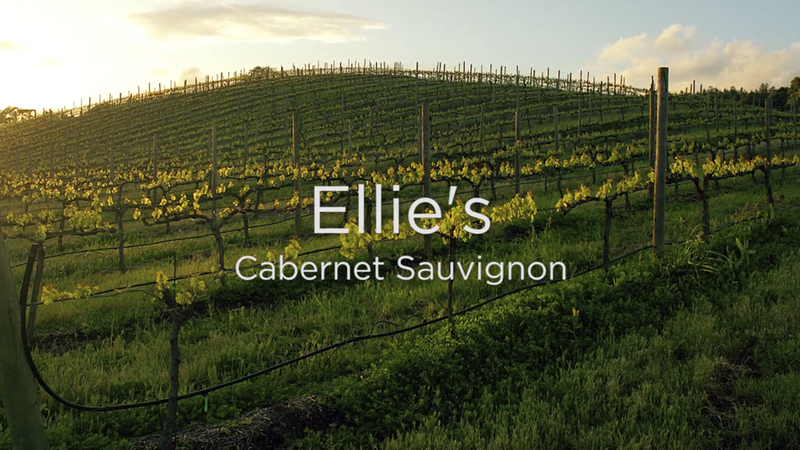 Ellie's Cabernet Sauvignon is a very approachable mineral-driven wine. The soft texture on the palate provides hints of cola and sassafras, while underlying notes of cherry, eucalyptus, and herbs lead into the mid-palate. Supple tannins give way to a graceful, smooth finish. This wine is named for Craig Hall's mother, Eleanor “Ellie” Hall, who was an artist and a teacher. She inspired Craig’s love of art and it is her artwork that graces this wine’s label. Crafting this blend is an exercise in texture. Vineyard sources are selected for their elegance with tannins that are soft, lush, opulent and feminine in character. The palate is driven by minerality, cassis, and a floral perfume.